While every successful DC migration strategy is based on industry standards, it takes a solid grasp of the design fundamentals to ensure your infrastructure can scale and adapt to meet future challenges. 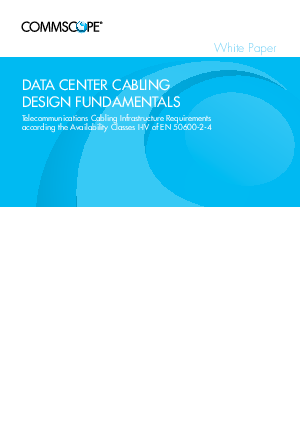 Our guide on Data Centre Cabling Design Fundamentals shows you how cabling standards translate into a more efficient and flexible infrastructure. It includes the various cabling architectures, types and classes, provides recommendations for overhead cabling and cable management, and much more.